Australia is a land of contrasts; the outback with its venomous snakes and insects and the modern cities, like Melbourne, Sydney, Brisbane and Perth. Melbourne is the country’s second largest city and the state capital of Victoria with a population of 4.9 million. The city’s suburbs reach around Port Phillip Bay. The city is made up of modern and traditional buildings and a tramway system for the benefit of commuters. Serving the health care needs in the city is the Royal Melbourne Hospital (RMH). The hospital was established in 1848 and is Victoria’s first hospital and one of its largest. Services are offered through two primary campuses; a city campus and the Royal Park campus. The RMH has more than 9,000 staff employed across 32 sites. The 10-member CE department at RMH includes a manager, two senior biomedical engineers, a clinical engineer supervisor (including a medical IT support role) and a quality engineer (responsible for management of ISO 9001 Quality Management System and coordination of PM program). The remainder of the team consists of four biomedical engineers, two biomedical technologists and a support clerk. 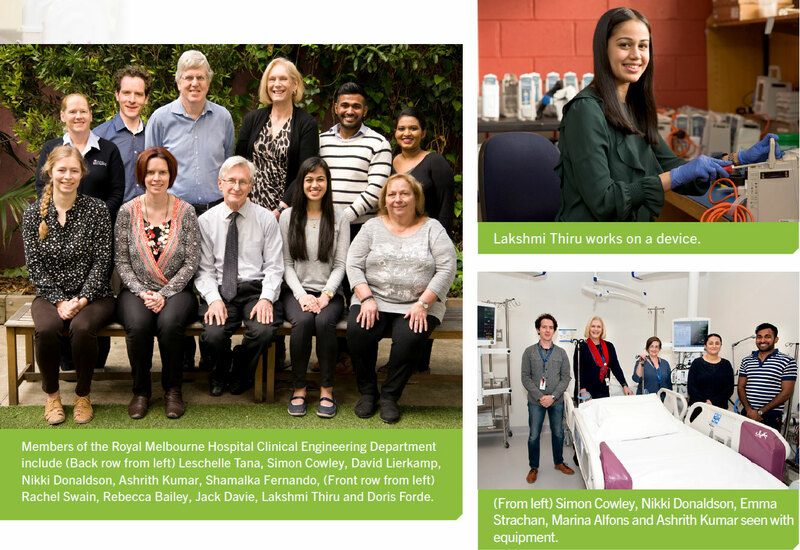 “Clinical engineering celebrated 50 years of service in 2013 and have a dedicated team of biomedical engineers, technologists and support staff who provide patient-focused medical device support to Melbourne Health,” says Simon Cowley, acting manager of clinical engineering. “The majority of our clinical engineering staff are trained to work on a wide range of medical devices, therefore are well equipped to respond to daily requests from our clinical departments,” Cowley says. “However, we do have a biomedical technologist who primarily works on maintenance of hospital beds and trolleys,” he adds. He also says that the team’s senior biomedical engineering staff is extensively trained and experienced with medical IT networks/systems, whose expertise is drawn upon if escalated from the biomedical engineers/technologists in the department. The department has brought its expertise to projects and has created greater efficiencies with computer equipment. “Clinical engineering continually participates in projects across The Royal Melbourne Hospital. Our subject matter and project management experience are highly sought after by clinicians and key stakeholders,” Cowley says. He says that the majority of projects involve the replacement and installation of medical equipment. Cowley says that in 2017-18, the clinical engineering team has participated in several major projects at RMH. He says that some of those projects include the redevelopment of a cardiac catherization laboratory, expansion of a coronary care unit, including patient monitoring system replacement and the medical IT network/system upgrade of a patient monitoring system in the emergency department. “The team was also instrumental in the completion of Pod D (10 beds) of the intensive care unit and completing a long-term project to build a 42-bed ICU servicing three hospitals (The Royal Melbourne Hospital, The Women’s Hospital, Peter MacCallum Cancer Centre in Parkville) in Parkville,” he adds. The CE department also is in the business of problem-solving. “Clinical engineering endeavors to apply engineering principles to solve problems for our organization. One of our achievements includes a fleet of custom-built cabinets that house the PCs for our central patient monitoring workstations throughout RMH,” Cowley says. Cowley says that the cabinets have fans with filter media, minimizing dust ingress into the PCs and reducing their operating temperature. “Clinical engineering has, for many years, not found it necessary to shutdown central patient monitoring workstations to vacuum out dust/lint and found an increase in reliability of these workstations following the implementation of these cabinets. AAMI wrote an article on this solution in 2014,” he adds. Like many health care systems in the states, the CE team at RMH has joined forces with IT as more projects require a convergence of the knowledge of both departments. “Clinical engineering and IT & T Services have a long standing collaboration at the Royal Melbourne Hospital. Both departments regularly work together on projects which involve medical IT network and server infrastructure work,” Cowley says. “Every month, senior staff from each department meet for the CE-IT meeting, where we discuss topical issues and upcoming projects which require the resources of each team. Medical device cybersecurity is a standing business item for these meetings,” he adds. He says that Melbourne Health is undergoing a project to uplift IT network infrastructure in readiness for an EMR. 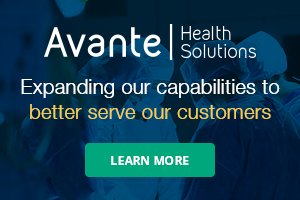 “Clinical engineering has been heavily involved with the network design to support medical devices on the IT network and has a continuing involvement as new IT infrastructure is installed across the organization,” Cowley says. Away from the workplace, management and staff still contribute to the HTM community. “Staff members participate in local biomedical engineering societies, such as the Society for Medical and Biological Engineering (Victoria),” Cowley says. “In May 2018, I presented at the SMBE Vic Monthly Seminar on two topics; a medical IT training simulator used for staff training within clinical engineering (which won an industry award in 2018, see http://www.abeia.com.au/#/pages/winners), along with an overview of medical device cybersecurity,” Cowley adds. He says that staff members also participate in interstate and national conferences, such as the Society for Medical and Biological Engineering (NSW) Conference and Australian Biomedical Engineering Conference (ABEC). The department has garnered a lot of recognition for being innovative and efficient. That is good news for patients and clinicians in Melbourne, who benefit from their good work.